The Indian Institute of Technology-Madras has topped the Ministry of Human Resource and Development's annual National Institutional Ranking Framework (NIRF). 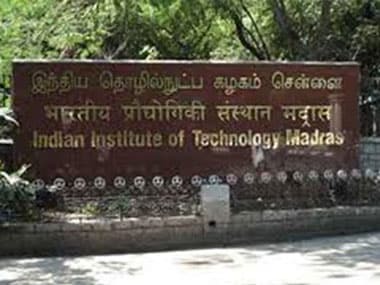 With this, IIT-Madras replaced the Indian Institute of Science-Bengaluru at the top spot. 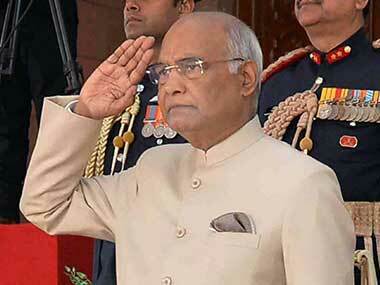 President Ram Nath Kovind announced the rankings of India's educational institutes at an event in New Delhi on Monday. In the fourth edition of the rankings, the Indian Institute of Management-Bengaluru came in first in the management category, and IIT-Madras, besides bagging the top position in the overall list, was also ranked first in the science category. The ministry evaluates colleges and universities across the country based on five broad parameters — teaching, learning and resources; research and professional practice; graduation outcomes; outreach and inclusivity; and perception. Apart from the overall list, rankings were announced in eight categories, including best universities and colleges as well as discipline-wise rankings for engineering, medicine, pharmacy, law, architecture and management. Seven IITs featured in the top 10 — IIT-Bombay, IIT-Kharagpur, IIT-Kanpur, IIT-Roorkee and IIT-Guwahati. IISc led the list of universities, followed by Delhi's Jawaharlal Nehru University and Banaras Hindu University. Among colleges, Delhi's Miranda House was number one, followed by Hindu College in Delhi and Presidency College in Chennai. Jamia Hamdard in Delhi was adjudged the best pharmacy college; Bengaluru's National Law School of India University topped the list of law schools. IIT-Kharagpur was first among architecture colleges, and the All India Institute of Medical Sciences, Delhi, topped the list of medical institutes. Announcing the rankings, Kovind said it is important to raise the bar of higher education in India. "While there are islands of excellence, both in the public and private sectors, overall standards are uneven," he said. "A nuanced approach is essential to ensure that higher education not only fulfills individual aspirations but also achieves national goals and priorities." As many as 3,127 institutes were considered for the ranking under all categories this year. The framework for their ranking is available on the NIRF website — www.nirfindia.org. 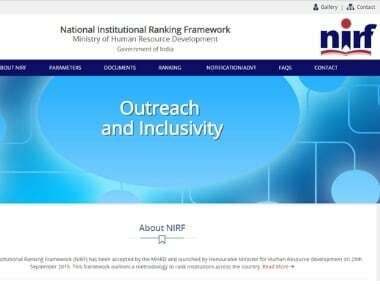 The National Institutional Ranking Framework (NIRF) was developed in 2014-15 by a 16-member Core Committee, appointed by the HRD ministry under the chairmanship of the secretary for higher education. The Core Committee proposed to develop a robust national framework to measure the performance higher education institutes and rank them and also recommended institutional mechanisms, processes and timelines to implement the ranking framework after deliberations with peers and stakeholders. 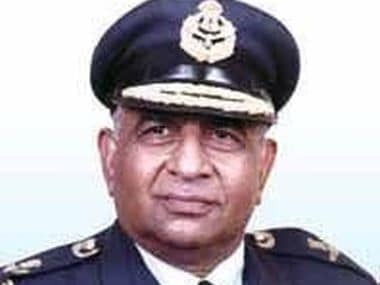 The ministry also constituted an Implementation Core Committee to oversee the implementation of the overall NIRF rankings.